Every year, millions of pounds of plastic waste flow into the oceans from the coastal region. If present trends continue, it is expected that it will outweigh all the fish in the sea by 2050. 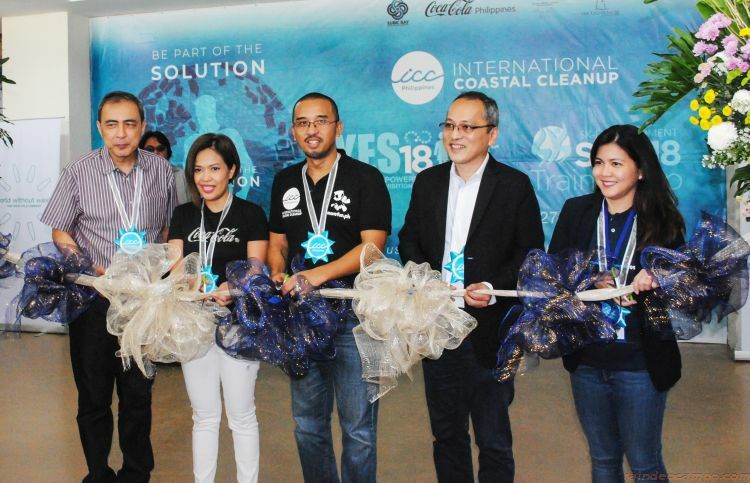 Last September 27 and 28, the ICC Philippines held its annual ICC Environmental Summit, a supplement to the annual beach cleanup at the Subic Bay Exhibition and Convention Center (SBECC). “It has been a long journey going here and we are happy with what the ICC Environmental Summit has become. 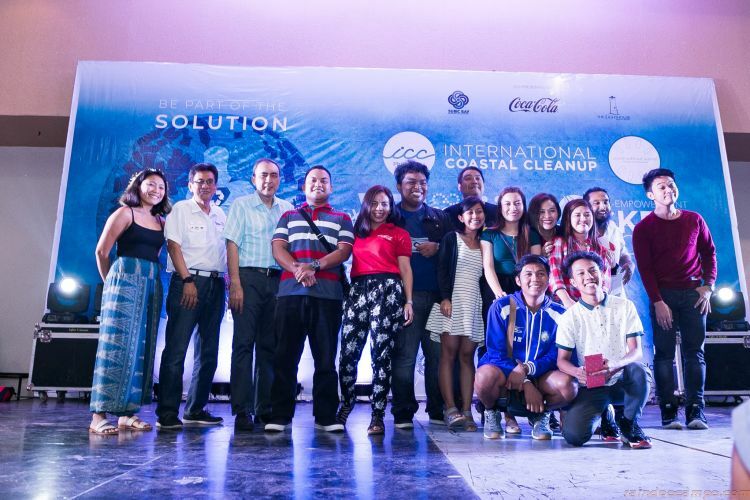 This annual conference first started in 2014 since we believe that beach cleanup alone is not enough,” said Zed Avecilla, area coordinator of ICC Zambales and Executive Director of Lighthouse Legacy Foundation. “The Lighthouse Marina Resort Legacy Foundation is very much committed to protecting our environment and come up with ways to expand and bring more people to this kind of advocacy.” Avecilla added. Among the highlights of this year’s summit is the launch of the Youth Empowerment Symposium (#YES18), which focuses on empowering the youth by tapping into the best practices of top Filipinos and global organizations to inspire the next generation of leaders. “Not only are we going to make sure that every package we have is recyclable, but we are also committed to making sure that by 2030, 50% of all the material in our packaging is made of recycled material,” said Winn Everhard, President and General Manager of Coca-Cola Philippines. Early this year, Coca-Cola International announced their ambitious goal to collect all PET bottles and aluminum cans they produce to sell. This goal is the centerpiece of the Company’s new vision for a World Without Waste, which the Coca-Cola system intends to back with a multi-year investment that includes ongoing work to make packaging 100% recyclable. “PARMS symbolizes what is possible if we all work together towards a common goal. We are very happy to partner with them this year and allowing us to learn, understand and be inspired by what their organization is about” said Avecilla. 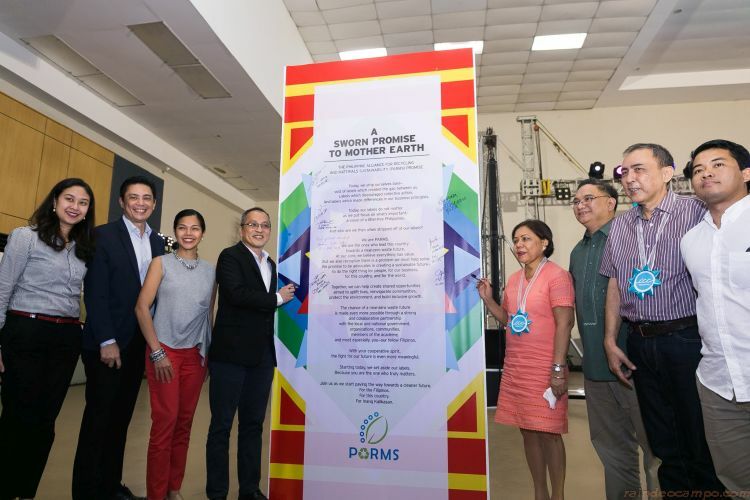 During the program, the present members of PARMS together with its President Crispian Lao and Vice-President Bert Guevara signed a pledge wall witnessed by Senator Cynthia Villar ífor their commitment to protect and preserve our environment. One of the highlights of this 2-day activity was the SK Empowerment Train Camp which was a specialized workshop for a selected group of SK officers from Olongapo, Zambales, and Bataan. The workshop aims to capacitate young leaders from the targeted areas in leading young people towards development through projects beneficial to each of their communities. The workshop ended with a “Hack-a-pack” challenge by Coca-Cola where these group will compete as teams in coming up with ways on how to properly recover the recyclables in their community. Each team from each area were given PHP 15,000.00 cash prize from Coca-Cola Foundation. “As part of our World Without Waste campaign, we will collect every bottle and aluminun cans that we sell. However we recognize that the best way to find the solution for this is to ask the youth and this is what this Hack-a-Pack is about” said Gilda Maquilan, Sustainability & Community Affairs Manager of Coca-Cola Philippines. The road to sustainability is long and challenging. It involves changing people’s behavior combined with the right system and infrastructure, but most of all, we all need to do our part and work together. “We all have the power to make a change. As a consumer, you can vote with your money. You can choose to do business with companies that are doing something good to the planet.” said Avecilla.